Amitabh Bachchan makes it easy for a taxi driver to perform for a scene in 102 not Out! 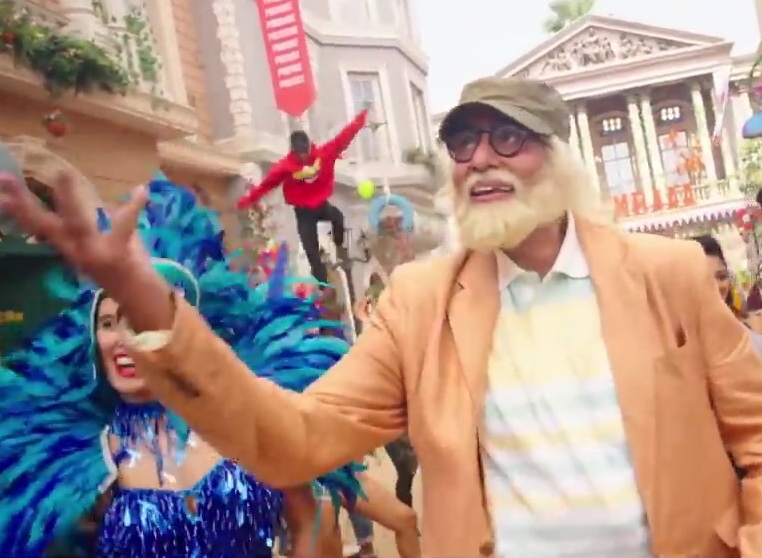 102 Not Out’s much awaited song Badumbaaa Is out now and has taken internet by storm. Sung by Rishi Kapoor and Mr. Bachchan, the song is composed by Amitabh himself, and indeed, this reflects his commitment to the film. Now we learn that for a scene Amitabh Bachchan has helped prepare a taxi driver, is there anything this legendary actor can’t do? Apparently, the makers roped in a local taxi driver who was to perform for a scene alongside the legend himself. He, in no time developed cold feet and it was Mr. Bachchan who calmed him down and prepared him for the shot. Clearly, no fame can disillusion Mr. Bachchan’s persona and we can’t just wait to watch him steal the show alongside the magnetic Rishi Kapoor in 102 Not Out.